Walmart has held its own against retail competitors this year in terms of growing sales and investing for the future. But Walmart shares have lagged competitors, and is down 4.5% year-to-date while Costco shares are up 20%, Target shares are up 33% and Amazon is up 60%. Monday, ahead of Tuesday’s (Oct. 16) annual investor conference, Walmart shares (NYSE: WMT) closed at $93.82, down 99 cents. Deutsche Bank and Stephens Inc. analysts see upside potential for the Bentonville-based retail behemoth in the months ahead, according to recent investor notes ahead their upcoming meeting with Walmart management in Bentonville. Paul Trussell, retail analyst with Deutsche Bank, has been on the sidelines with Walmart but in a recent research note he upgraded the stock to a “buy” position with a $113 per share price target. He said Walmart is “flexing its muscles” and the investments are paying off and the retailer is in a better position to accelerate market share gains in online grocery. He also applauds Walmart for growing its differentiated portfolio of e-commerce assets. “We believe management will reiterate the 40% growth for the U.S. online business for this year, with a target of 30% in fiscal year 2019,” Trussell noted, adding that Walmart’s positive momentum along with robust investments in its online platform make it a legitimate contender against Amazon in the long-term. “While e-commerce is still a relatively small portion of the business, Walmart was quick to focus its efforts there, which we believe will set the retailer up for success in the future,” Trussell said. Ben Bienvenue, an analyst with Stephens Inc., has been bullish on Walmart for several quarters with a “buy” rating and a target price of $115, which he reiterated in an Oct. 11 note to investors. (Stephens does investment banking services for Walmart and is compensated accordingly.) Bienvenue said he expects this investor conference to be less controversial than last year saying it will be a positive catalyst for shares. “We believe core trends remain strong and we expect management to sound positive on the outlook for next year … Last year the debate hinged on the company’s ability to grow earnings in fiscal year 2019 and continue gaining market share. While the reinvestment of tax reform and subsequent acquisition of Flipkart in the large Indian market have weighed on earnings outlook, we believe the strong results seen in the core business should continue to support shares,” Bienvenue noted. He said Walmart U.S. and Sam’s Club are sources of strength for the retail giant and the growth in online grocery continues to help the retailer expand its customer base. Walmart has said up to 30% of the online grocery business is from new customers. “We expect the online business to continue to be foundational to total comp store sales growth moving forward. As the eCommerce business has scaled over the last several years, it has become increasingly important to the strength of the Walmart U.S./Sam’s Club comp sales growth – we will be looking to get more clarity around the drivers of this segment growth beyond fiscal 2019 at Walmart’s investor day,” Bienvenue noted. He said Walmart’s eCommerce growth projection of 40% seems attainable this year, but he will look for more clarity at 2020 and beyond. Bienvenue said after a moderated pace of mergers and acquisitions in recent quarters, the recent acquisitions of Eloquii and Bare Necessities fit the company’s strategy of acquiring digitally-native brands and building out the longer-tail (higher-margin) categories of online. “We anticipate that Walmart will remain acquisitive in this segment and expect to hear continued bullish commentary from management at the conference,” he said. 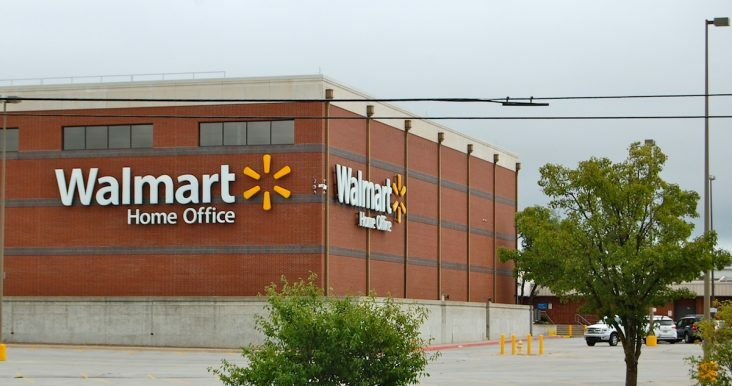 Analysts with Guggenheim noted last week they also expect Walmart U.S. eCommerce strategy will continue to include smaller “bolt-on” acquisitions with the aim of expanding category and consumer demographic reach. With much of the Flipkart regulatory hurdles out of the way, Bienvenue and Trussell expect management to talk about continued opportunities for international asset rationalization as part of its focus. The Asda/Sainsbury merger in the United Kingdom has recently drawn regulatory caution, while the retailer was able to shed the majority of its burdensome Brazilian business. Bienvenue said he expects to get more information around the long-term strategy for increasing scale at Flipkart while reducing operating losses and the progression toward eventual profitability of this business. He said the long-term value in Flipkart deal shouldn’t be overlooked.